Angela Garry's PA & EA Blogspot: HOW and WHERE can I help YOU in 2017? HOW and WHERE can I help YOU in 2017? I'm putting together some dates and venues for training events in 2017 - in both the UK and worldwide. If you're a PA, EA, VA, Secretary or Administrator, what aspects of training and development would you like to cover in the coming few months? What do you need that would make your job easier? What would help you to assist your boss better? What could you be doing for them which would make their role easier? What skills do you need to build on, what do you need a basis on, what do you want some advanced training on? As well as the courses that I offer to the general public, I'm also available for private bespoke bookings for you and your colleagues at your choice of venue. You might even want to invite other PAs in your local area to attend and charge them a fee per person to attend (which would go towards covering my training fee, travel and accommodation). So - put your thinking cap on, and let me know what you need! 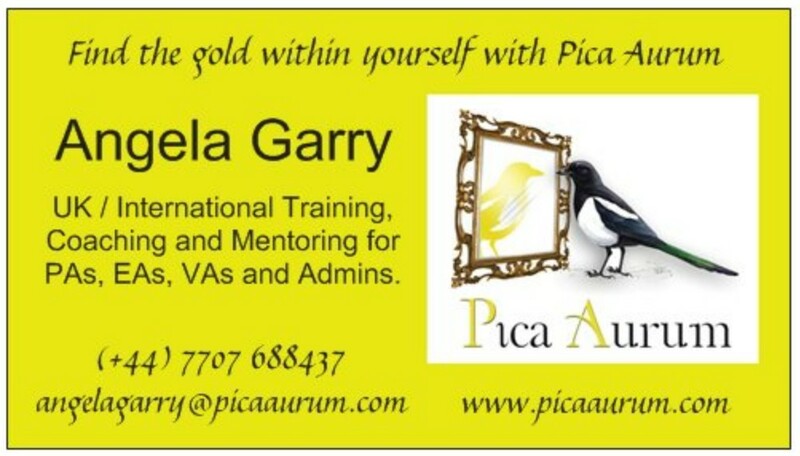 Get in touch - angelagarry@picaaurum.com - and I'll try my best to work out a programme that could fit your needs.